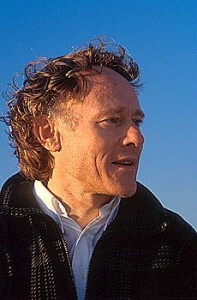 GRAHAM HANCOCK is the author the forthcoming Magicians of the Gods, and of the major international bestsellers The Sign and The Seal, Fingerprints of the Gods, and Heaven’s Mirror. His books have sold more than five million copies worldwide and have been translated into 27 languages. His public lectures, radio and TV appearances, including two major TV series for Channel 4 in the UK and The Learning Channel in the US – Quest For The Lost Civilisation and Flooded Kingdoms of the Ice Age – have put his ideas before audiences of tens of millions. He has become recognised as an unconventional thinker who raises controversial questions about humanity’s past. In the early 1980’s Hancock’s writing began to move consistently in the direction of books. His first book (Journey Through Pakistan, with photographers Mohamed Amin and Duncan Willetts) was published in 1981. It was followed by Under Ethiopian Skies (1983), co-authored with Richard Pankhurst and photographed by Duncan Willets, Ethiopia: The Challenge of Hunger (1984), and AIDS: The Deadly Epidemic (1986) co-authored with Enver Carim. In 1987 Hancock began work on his widely-acclaimed critique of foreign aid, Lords of Poverty, which was published in 1989. African Ark (with photographers Angela Fisher and Carol Beckwith) was published in 1990. 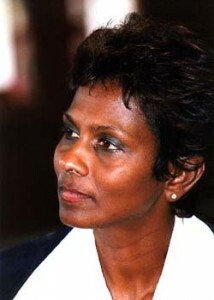 Faiia’s work illustrated The Sign and the Seal (1992) and Fingerprints of the Gods (1995), and in 1998 her major book of photographs was published – the international bestseller Heaven’s Mirror. Faiia’s images from sacred sites as far afield as the temples of Angkor in Cambodia and the great pyramids of Giza in Egypt bring to life a lost world and ‘achieve the rare feat of making you feel you are there’ (Western Mail). Faiia worked closely with Hancock on Underworld (published in 2002), her photographs of the many ancient underwater ruins off the coast of Japan, all around the Pacific, off Indonesia and Malaysia, off India, and in the Mediterranean, the Atlantic and the Caribbean adding a whole new dimension to her work. She also photographed Supernatural (published 2005), putting unique images of the ancient rock art of South Africa before a global public. More recently, in 2013, Faiia’s photographs of Easter Island were presented at the Vatican Ethnological Museum contextualising a special exhibition of Easter Island artefacts. In 2014 a second exhibition at the Vatican Ethnological Museum, this time on Indonesia, was again contextualised with a collection of Faiia’s photographs. Faiia’s latest work is to be seen in the 32 pages of colour photographs she has contributed to the forthcoming Magicians of the Gods.